Coat of Arms carved 1939, Tasmanian House of Assembly . Who was Nellie Payne? Coat of Arms, Tasmanian House of Assembly. 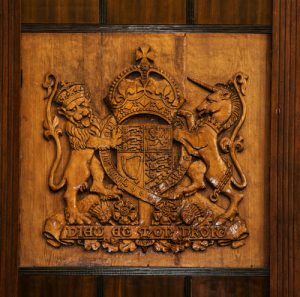 “For many years the Tasmanian Parliament House in Hobart had felt the lack of a suitable representation of a Royal coat of arms to signify Parliament’s allegiance to the Throne, and in 1939 Mrs Payne was commissioned by the Public Works Department to carve one in the local blackwood. It was a large and somewhat intricate piece of carving, and it took her several weeks of solid work to accomplish it. 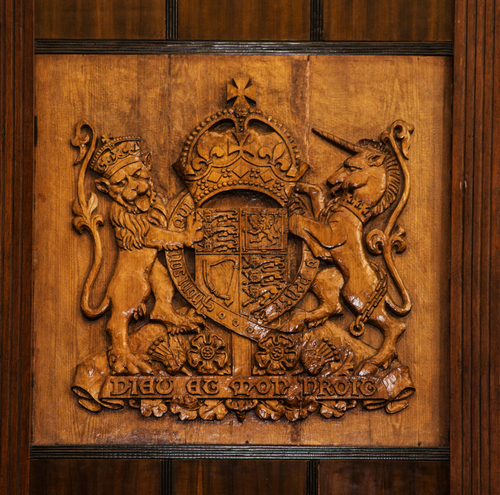 It is interesting to note that this coat of arms still sits above the Speakers chair in the House. Michael Polley, the Speaker of the House for more than 18 years and also the Patron of the Westbury and Districts Historical Society, was unaware until the Nellie Payne project was commenced, that he had sat beneath the coat of arms carved by a fellow Westburian!